One of the premier on-campus indoor basketball arenas in all of America, Viejas Arena at Aztec Bowl provides an 12,414-seat, state-of-the-art venue while keeping fans close to the floor and part of the action. 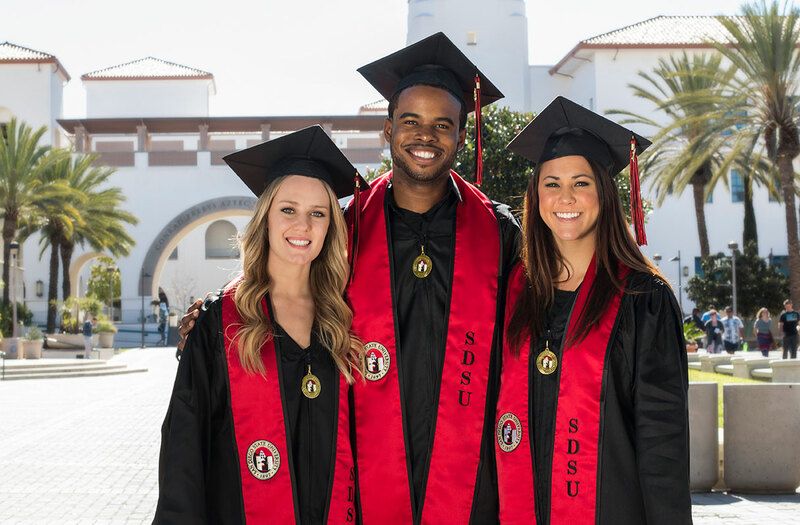 Opened in 1997, the facility is the home of San Diego State Basketball and provides a venue for university functions, cultural events, concerts and other special-event programming. It features a unique open-air concourse design that allows fans to enjoy the excellent San Diego climate and adds a new experience to attending arena-type events. Until July 1, 2009, the arena's naming rights were owned by Cox Communications and was known as Cox Arena. On March 17, 2009, the Viejas Band of Kumeyaay Indians announced the signing of a 10-year naming rights agreement which changed the name to Viejas Arena. The arena is built on the site of the old Aztec Bowl stadium which hosted San Diego State football games as well as other athletic, entertainment and cultural events from the time of its construction in 1936 until 1967. Built directly into a canyon hillside, Viejas Arena encloses one end of the old horseshoe-shaped Aztec Bowl. Two sections of the stadium's original concrete bleachers and cobblestone walls frame each side of the arena's north entrance. In addition, the university's 10-ton granite boulder, a California landmark commemorating President John F. Kennedy's 1963 commencement address at Aztec Bowl, has also been placed in this area. In addition to Aztec basketball contests, Viejas Arena has played host to concerts by such artists as Cher, Eric Clapton, Britney Spears, No Doubt, Barry Manilow, Black Eyed Peas and Aerosmith. In the spring of 2001, Billy Joel and Elton John opened their world tour with a sold-out show at Viejas Arena. Viejas Arena seats 12,414 for basketball games. Seating includes 240 ADA accessible and companion seats in row 36, form-fitted bench seats in rows 30-35 with the remaining being stadium seats. For special events and concerts, the venue can become intimate down to 3,000 seats and, depending on configuration, accommodate as many as 13,500. The facility features a $2.3 million center hung Daktronics scoreboard with modern features including up to the minute statistical information on individual players. In addition, the venue offers six locker rooms, two team rooms, a green room which includes three individual dressing rooms and a common area, a training room and a work room. Concessions are provided by Aztec Shops and include a traditional sports-themed menu as well as specialty foods. Aztec Shops also provides catering and includes a wide ranging menu with various levels of service. The Mezzanine Level houses a VIP Room for banquets, pre and post-game functions, and other formal and informal gatherings. The room consists of a 2,200 square-foot space that can be divided into two rooms of 800 and 1,400 square feet. The 800-square foot area can also serve as an interview room for sporting events. After serving as host to the first and second rounds of the NCAA men's basketball championship in 2001, the building was the home of the 2001 NCAA women's volleyball national championship and again played host to the 2006 NCAA men's basketball first and second rounds. In 2009, the NCAA women's basketball first and second rounds graced the Viejas Arena floor and in 2014 the NCAA men's basketball second and third rounds had a return visit. Viejas Arena is next scheduled to host the 2018 NCAA men's basketball first and second rounds.